Downtown Marion’s newest Martial Arts organization, Okinawan Martial Arts competed nationally this past weekend and received multiple awards! On Saturday members of the Okinawan Martial Arts Center located at 314 S. Washington Street in Marion attended the 2015 Kobayashi National Karate Championships in Kokomo, Indiana sanctioned by the Professional Karate Commission. OMAC Student Russ Smith competed in Novice Men’s division and placed 2nd in Kata Stanley Range competed in the men’s novice division and placed 4th in Kata (forms) and Instructor Mike Jones competed in the Black Belt Men’s Division and placed 3rd in Kata (forms). On Sunday members of the Okinawan Martial Arts Center travelled to Peoria, Illinois and competed in the United States Karate-do Kai’s 31st International Karate championships against competitors from Arkansas, Arizona, Californian, Colorado, Florida, Georgia, Iowa, Illinois, Indiana, Kansas, Maine, Maryland, Michigan, Minnesota, Mississippi, Missouri, Montana, Nebraska, New Mexico, New York, North Carolina, Ohio, Pennsylvania, South Carolina, Tennessee, Texas, Washington, Wisconsin, England, Ireland and Romania. 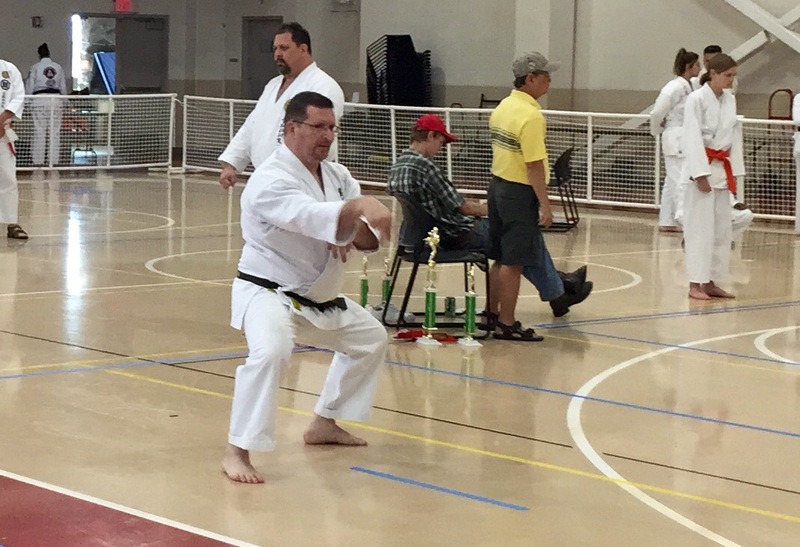 OMAC Instructor Mike Jones competed in the Masters Division through four rounds of competition and placed 2nd in Kata (forms). Picture of Mike Jones (owner/instructor). For more information call 765-603-7047. Previous MSM Design Committee Launches BenchMark, A Public Art Campaign! Next Day of Aliveness: Because your Well-being Matters. A group coaching event presented by Lark’s Song Inc.